Unfortunately, while Berdoll’s first Pride and Prejudice sequel was at least entertaining, if flawed, the follow-up falls completely flat. This book was badly in want of better editing. The first one hundred pages are a recap of the previous book — far too much time to spend catching readers back up, and poorly orchestrated, at that. Berdoll jumps to and fro in her own timeline without any solid anchoring, such that it becomes difficult to follow the sequence of events. This problem persists throughout the book. Berdoll frequently jumps back months or even years to visit other characters, and while this narrative device can work, her efforts are far from seamless. It becomes particularly distracting when she bounces back to investigate in greater detail something she already talked about once or twice before in the “main” narrative thread, but offers contradictory information as to the sequence of events. The jarring shifts are worst at the very end of the book, when she inexplicably interrupts the climactic sequence (involving George Wickham, back from presumed death and more dastardly than ever) not once but twice to go check in on other characters. If Berdoll meant this to build suspense, it fails, building only frustration. Characterization suffers in this book as well. 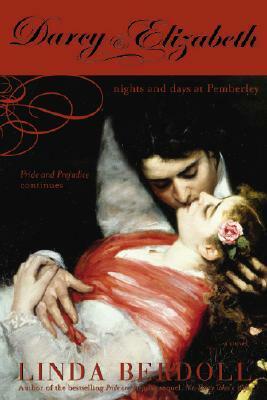 Though Darcy is much the same as ever, Lizzy hardly ever rises to the spirited nature we’ve come to expect from her. She spends the first half of the book hesitant and unsure of herself, and while on the one hand I appreciate the realistic treatment of a woman’s post-pregnancy bodily concerns, it went on for far too long and made Lizzy far too much unlike herself. The new characters added to the narrative mostly feel like retreads from the first book — unsurprising, since half of them are relatives or otherwise connected. In some places, it feels like Berdoll actually wanted to write a book about the experience of the lower classes during this period, but thought that no publisher would take that on, so she stuffed the material into something that she knew had a market. I appreciate the desire to show, as she did in the first book, a world outside that of the gentry, but the interplay between the stories here lacks finesse. Berdoll also fails in the premise of a family focus for this book. None of the children, by any set of parents, are granted the chance to have a personality. They are admirable props while infants, rendered invisible once they’ve grown enough to speak. Jane’s and Lydia’s children remain entirely off-screen, and are referred to so infrequently that I often wondered precisely where they were and who was looking after them. If you read this novel hoping to see much of the Darcys as parents, you’ll be disappointed in that as well; the children don’t age above a year, and there’s precious little beyond breast-feeding and knee-dandling going on with them. Family life has no depth in this book, no nuance. The fecundity of the various characters is a plot device and no more, which I found disappointing. There are enjoyable episodes in this book, but ultimately, the total muddle Berdoll makes of her own timeline and her haphazard manner of storytelling make it difficult to enjoy them. I see that she published a third installment to the series in 2011, but I feel no compulsion to acquire it.